Discussion in 'Projects' started by walesy, Jun 10, 2005.
walesy Aint no family cruiser!!! Sorry to whomever owns this car. Seriously, though, there was a VK coupe around my way a few years back. I believe some parts were imported from Germany. that wagon gone ute is off the hook!!! that vl wagon gone ute is off the hook!!! im not one to like vl's but if i ever seen a 2 door vl i think itd be wiked, especially because itd be "1 OF A KIND"
in seen a convertable rental VN in surfers. looked rough as guts!!! i suppose it depends on how you do it! yeah?? theres a few ways... shorten the entire chassy or like just destroy the back door! i recon if you got a camira turned it into a vl and made it so there was no back door it would be nice! that way it would be smaller and like there nearly same shape as vl i think, i have never actully seen side by side and yeh... away you go! i know a guy atm making a vl wagon into a pannal van ive seen it its off the hook its black with a calais front, kit, mags, it is gonna look so good when its done. 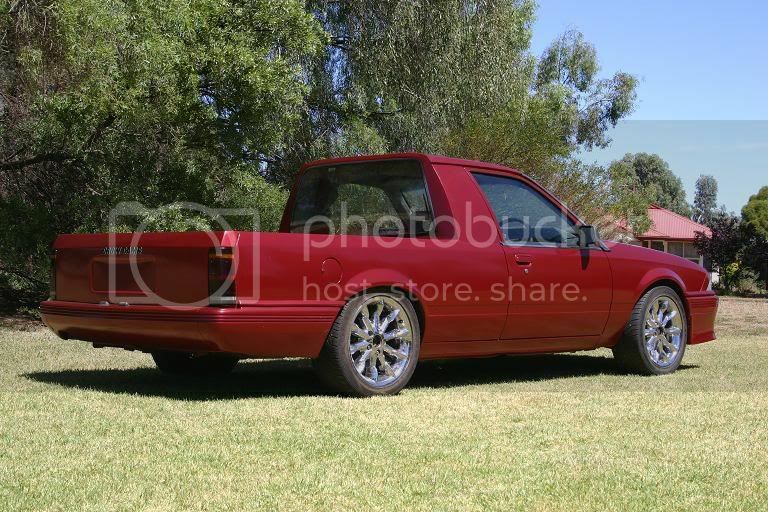 ill try and get some pics and show everyone..
theres a VK (i think) panel van going around the southern SA suburbs, looks like a brock front end, and had the rear doors and windows welded up/covered over. yer there is a 2 door vl wagon at a car collector museum in kwinana perth wa. Not sure where your getting your info from, as that was never a ute. Its a VB back end on a VS, then made into a convertable!